Spiritual Evolution of the Bean: Can I get a little help for my friends? Can I get a little help for my friends? Will you please help me get my friends to Musikfest? Chris's band is now in the final round of the competition. They need your vote to help move them into one of the four finalist spots which will allow them to perform at this year's event. Last month, I had the pleasure of meeting, and sitting in with Chris Vipond and the Stanley Street Band at the So Far Festival held at Penn State's Altoona campus. When I got back home to the Eastern side of the state, I found out that Chris's band was one of the top 20 bands selected (from over 200) to compete for a 1 in four spot at this year's Muskifest. Musikfest is a 10 day music festival that has been held each August in Bethlehem, Pennsylvania, since 1984. Each year, one million visitors make the trip to Bethlehem to participate in this event. Festival visitors are treated to between 700 and 1,000 free shows over the course of the event. Past headlining acts (which require paid admission) have included Stone Temple Pilots, Clay Aiken, Air Supply, Alice in Chains, Boston, The Beach Boys, Tony Bennett, Boyz II Men, Collective Soul, Ray Charles, .38 Special, George Clinton, Dixie Chicks, Poison, Duran Duran, Earth, Wind & Fire, Fuel, Kool & The Gang, Jethro Tull, Jonny Lang, Lynyrd Skynyrd, Martina McBride, Steve Miller Band, Live, REO Speedwagon, Staind and George Thorogood. CV&SSB originates from the mountains of Central Pennsylvania in the forgotten railroad city of Altoona. 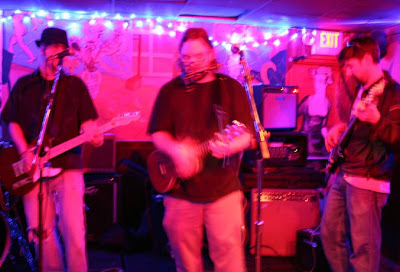 The band was formed in late 2007 by songwriter Chris Vipond, who has been writing songs since he was 14. The Stanley Street Band provides the musical backdrop to the songs. 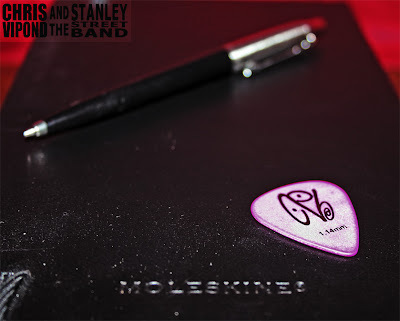 The Stanley Street Band’s namesake, Mike Stanley, has been laying down his groovy bass in various groups with Chris for over 15 years. Phil Wagner completes the musical trinity of CV&SSB with the relevant lead guitar parts and vocal harmonies that range from searing and edgy, to sweet and melodious. CV&SSB currently perform with various drummers and percussionists on multiple percussive fronts such as traditional cajon drums, conga, full drum kits and trap kits. This band is all about the songs. Songs that make you think, laugh, cry, and get angry. The music is always injected with a sense of empathy and positivity. From the protest rock anthems and subtle folk rock gems to the in-your-face edgy-funk jams, CV&SSB deliver a perfectly honest spectrum of sound. Not only is Chris a musician, but an avid writer as well. 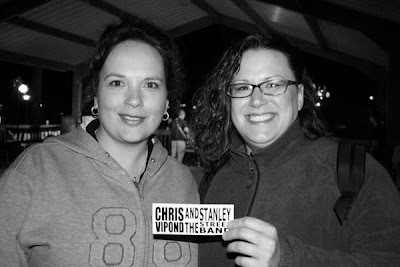 Click the widget above to listen to Chris Vipond and the Stanley Street Band. Awesome, Stephanie!! Get those percussive instruments ready!